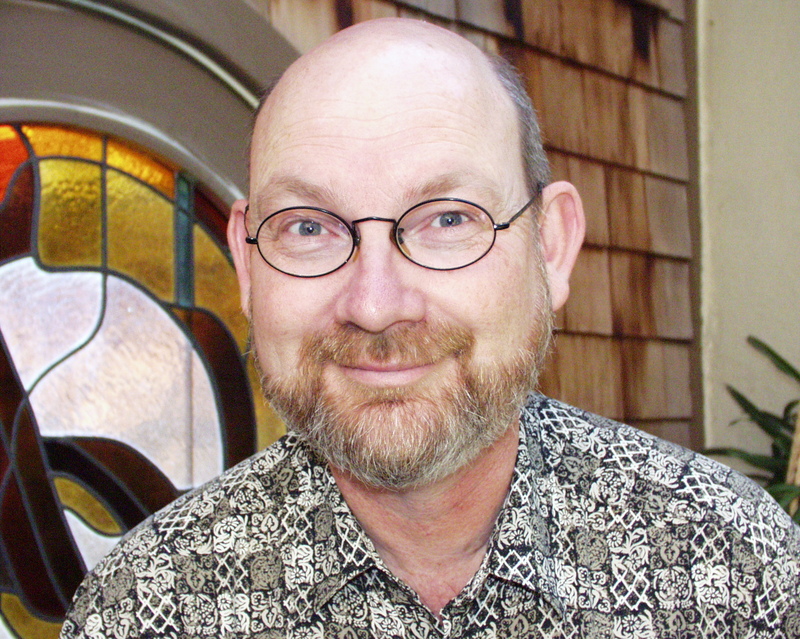 Frank Baird holds a master's degree in Marriage and Family Therapy. He is a solution-oriented mindfulness-based Licensed Marriage & Family Therapist and Licensed Professional Clinical Counselor. He has taught graduate level therapists in training at Phillips Graduate Institute and California State University, Northridge and supervised therapists-in-training at Valley Trauma Center (a sexual assault recovery center) and Phillips Graduate Institute (in their Postmodern Therapies Program). He was founder and Clinical Director at NOW House Therapy Center. He is founder of Walk a Mile in Her Shoes®, The Men's March to End Men's Violence Against Women, an organization that facilitates 400+ international Walk events each year. Frank is dedicated to helping people cultivate inner peace, live more fulfilling lives and be active contributors to their communities and the world. 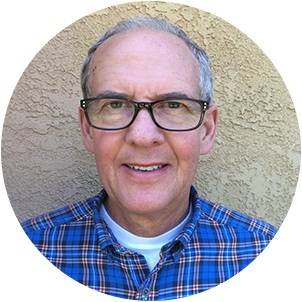 Frank is a UCLA MARC Certified Mindfulness Facilitator who teaches mindfulness in a variety of settings, including Kaiser Permanente, Sherman Terrace, Reseda, CA, his private practice in Westlake Village, CA and various other community and private settings when requested. Kelly Barron has studied and practiced mindfulness meditation for nearly 20 years. 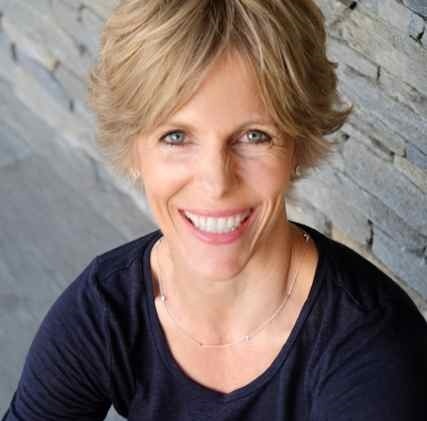 She is a UCLA Certified Mindfulness Facilitator and an Inner Kids trained instructor who teaches mindfulness within corporations, schools, privately and for eMindful, a provider of online mindfulness programs worldwide. Kelly came to understand the importance of living mindfully and managing stress while working as a deadline-driven journalist. A former associate editor and staff writer for Forbes magazine, Kelly understands how to apply mindfulness in professional settings and draws upon her journalistic curiosity as well as her experience as a mother and a lifelong athlete to inform her work. Kelly holds a B.A. in philosophy from the College of William and Mary and an M.A. in journalism from the University of Missouri. She also holds a training certification from the American Council on Exercise with a specialty in Orthopedic Exercise. Kelly has developed and facilitated mindfulness programs for organizations such as Milbank, Orrick, the Broad Center and the Skirball Cultural Center as well as for numerous professional associations and for writers and screenwriters. She facilitates mindfulness in schools, working with teachers, administrators and students, on an ongoing basis throughout Los Angeles. Gael Belden began her meditation practice over 35 years ago. In 2000 she was lay-ordained by Thich Nhat Hanh, was certified to facilitate mindfulness by UCLA's MARC program, and has completed the Mindful Self-Compassion Teacher Training. Gael teaches the MARC's online mindfulness classes and works closely with the TMF program, leads retreats, classes in self-compassion, and has created mindfulness and compassion curriculum for distance-learning high school students. She has worked with teens in both a retreat setting as well as educational settings. She has an MA in Mythology and Depth Psychology, weaving myth, poetry and story into her mindfulness work. She is keenly interested in the intersection of mindfulness and nature - especially pertaining to water. She is the author of Soror Mystica and Roam: Ojai's Hip, Little Hiking Guide. Natalie Bell has been practicing mindful awareness and meditation since 1985. She lived in an ashram for a year in 1989 dedicating herself to intensive study and practice of meditation and awareness. 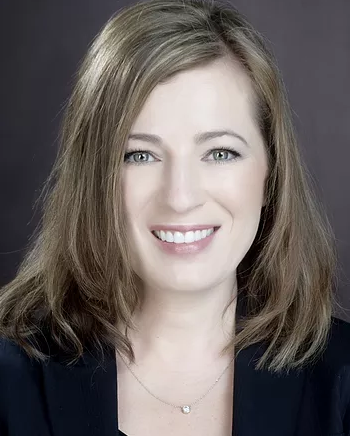 Natalie studied neuropsychology and became a Physical Therapist working for 17 years as a hospital clinician, Director of Rehabilitation, and a clinical specialist for medical devices. Natalie founded Mindful Wellness to bring mindfulness training and coaching to individuals and corporations with a focus on self-compassion to promote well being. She teaches many groups including physicians and healthcare teams, corporate groups, and teachers, bringing awareness practices for self-regulation, greater balance, focus and creativity. As a UCLA Certified Mindfulness Facilitator, Natalie leads workshops and classes for MARC and Teach For America. She is a trained teacher of Mindful Self-Compassion (MSC). Natalie believes passionately that through awareness we have the capacity for renewal, of body, mind, and spirit. Matthew Brensilver, PhD, served as a Buddhist chaplain at USC for four years and teaches about the intersection of mindfulness and psychotherapy at UCLA's Mindful Awareness Research Center. Matthew was trained by Noah Levine, with whom he teaches at Against the Stream Buddhist Meditation Society and is currently in the Spirit Rock/IMS teacher training program. He conducts research on addiction treatment at the UCLA Center for Behavioral and Addiction Medicine. Nicholas Brüss, EdD, is the founder and director of CompassionLA, a non profit organization impacting lives with connection cultivating programs. He has been studying both vipassana meditation and non dual contemplative practices. Nicholas is a UCLA Certified Mindfulness Facilitator, a Stanford University trained Compassion Cultivating Training teacher, and Mindful Self-Compassion teacher. He has been cross-trained in multiple arenas with compassion at their core such as mindfulness, attachment-based psychotherapy, somatic-based trauma resiliency, nonviolent communication and end of life presence. He has a keen interest in leading transformative practices toward a sustainable awakening way of being. Stella Chow, PsyD, is a clinical psychologist (California License: PSY 21978) who enjoys working with children, adults and families in her private practice in Los Angeles. She received her training in mindfulness facilitation through the UCLA Mindful Awareness Research Center. Stella used to work as a staff psychologist at UCLA Counseling and Psychological Services, where she provided mindfulness psychotherapy groups for UCLA students and trained psychology interns in incorporating mindfulness in their clinical work. She is fluent in English, Cantonese and Mandarin Chinese and hopes to bring mindfulness to different communities. Daniel is a co-founder and a teacher at Perfectly Here, a nonprofit mindfulness training organization. 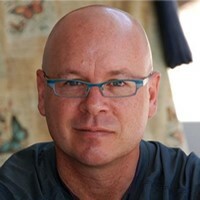 He currently works with UCLA's Mindful Awareness Research Center and is the Buddhist Chaplain at USC. He is affiliated with Abhayagiri Monastery under the guidance of Luang Por Passano. Daniel was an active member of InsightLA, where he helped build the organization by teaching and serving on its Executive Council. He has trained and taught mindfulness to children with Susan Kaiser Greenland. He has formally practiced Theravada and Zen meditation since 1986. Bhanu Joy Harrison, LCSW, SEP, LMT, is a UCLA-Trained Mindfulness Facilitator and Affiliate MAPs Teacher, UCLA Semel Institute, Mindful Awareness Research Center (MARC). She offers classes and workshops on mindfulness meditation, including UCLA's well researched "Mindful Awareness Practices for Daily Living I" (MAPsI). In addition, she designs workshops and classes on mindful living and ethics and body awareness tools for bodyworkers and counselors. She is also a licensed Clinical Social Worker in private practice in Albuquerque, NM focusing on body centered and mindful approaches to trauma resolution and self regulation. Tom Heah, M.Sc. (OT), has worked for 16 years in community mental health in Vancouver, Canada. 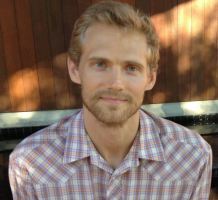 He is a Teaching Assistant at the UCLA Mindful Awareness Research Center's Training in Mindfulness Facilitation program, and is a Certified MBCT and MBSR Teacher. Tom has practiced meditation since 2004., and facilitated mindfulness courses since 2006, for people who have mental health and substance use issues, chronic pain and neuromuscular conditions, health care professionals and the general public. 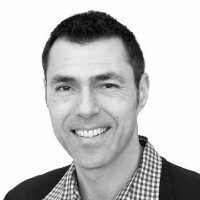 He is a Clinical Faculty member at the University of British Columbia, enjoys teaching at the Schools of Occupational Therapy and Social Work, and is involved in mindfulness research with the School of Occupational Science and Occupational Therapy. Vivian M. Hermiz is a UCLA Certified Mindfulness Facilitator who has trained in Christian, Buddhist, and secular mindfulness practices, with extensive training in the Plum Village tradition founded by the venerable Thich Nhat Hanh. She is an authorized instructor of the UCLA Mindful Awareness Practices Program (MAPs). From Fortune 15 companies to youth groups, Vivian develops tailored programs to meet the unique needs of individual and group clients. Stacy Kesten, UCLA Certified Mindfulness Facilitator, has practiced meditation for 8 years and has extensive personal and professional training in mindfulness. She completed the year-long Intensive Practice Program followed by the year-long facilitator training program at UCLA’s Mindful Awareness Research Center. Stacy has received formal training in MBSR and has over a month of silent vispassana retreat experience. She is an authorized UCLA MAPs teacher and she also specializes in mindful creativity, mindful improvisation, and mindful self-compassion. Stacy works with individuals, organizations, corporate leaders, and she speaks at conferences on self-care and mindfulness in the workplace. She is a mentor for The Center For Mindful Living’s on-line training program and is also a program administrator for UCLA’s Mindful Awareness Research Center. John Kneedler is a Certified Mindfulness Facilitator and Authorized MAPs Teacher through the Mindful Awareness Research Center at UCLA. He received his B.A. in Psychology from Duke University. Having a deep passion for the work of sharing mindfulness, John teaches weekly drop-in meditation sessions in the Valley, Culver City, Downtown Los Angeles, and Redondo Beach areas. He is also a Mindfulness Instructor at Peak Brain Institute, where he provides group and private one-on-one coaching for individuals looking to create or strengthen an existing mindfulness practice. John has also worked extensively with children, both privately and in the classroom, having received training from the Mindful Schools Curriculum Training Program. He has shared these practices with K-12 children in public and private schools as well as through enrichment programs, including the Institute for Educational Advancement in Pasadena, the LAPD-affiliated Operation Progress in Watts, and the Culinary Arts Kids Eat program through the Mayor’s Partnership for Los Angeles. First and foremost, John is a dedicated practitioner who strongly values the continuing development of his own practice, which includes participating in regular residential retreats. Kristen Lisanti is the founder of Mind by Design, a mindfulness-based coaching and consulting practice, and creator of Gimme Presence and Year of Intention--digital offerings that make mindfulness practice freely available and seamlessly integrated into daily life. 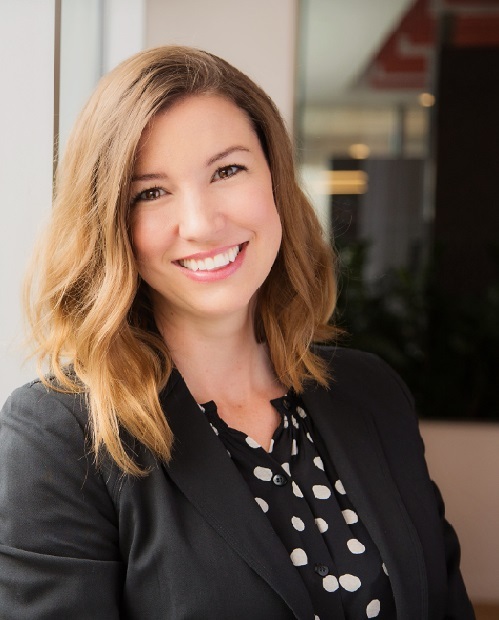 Kristen's work fuses her 15 years experience working on institutional and individual behavior change with her 10 years as a mindfulness meditation practitioner to inform her individualistic approach to leadership development: everyone is a leader, and everyone leads in their own way. Based in LA, she founded the Los Angeles Central Library's mindfulness meditation group and currently works in corporate and creative environments helping executives, teams and businesses cultivate the high-concept and high-touch skills they need to connect, grow and thrive. Kristen received certification as a mindfulness facilitator through the UCLA Mindful Awareness Research Center (MARC) in 2013, training in MARC's Mindful Awareness Practices (MAPs) program in 2014, and certification as a brain-based coach through the NeuroLeadership Institute in 2017. Moira Malzoni is co-founder of Moved by Mindfulness, a mindfulness-based meditation studio in Sao Paulo, Brazil, where she facilitates 6-week courses, drop-in classes, and corporate mindfulness practice programs. 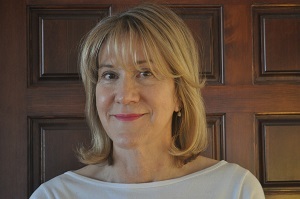 Moira is a UCLA Trained Mindfulness Facilitator. She has been an Affiliated MAPs Teacher since 2017. Moira is a Certified Mindfulness Teacher, Professional Level (CMT-P), from the International Mindfulness Teachers Association (IMTA). Compassion practice is the core of her work, and she is passionate about sharing mindfulness to students and the general public as a first contact experience. 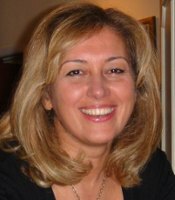 Mitra Manesh is a senior mindfulness educator with more than 30 yrs of experience. Her work is a blend of Western techniques & Eastern inner-based practices, a synthesis that promotes a full engagement of work and home life. The result is a unique approach offering knowledge and wisdom in a practical and empowering way. Mitra’s clients range from individuals seeking happiness and success, to celebrities seeking balance, to corporations like Hugo Boss, CAA and The Capital Group seeking to increase productivity & reduce stress. She has a private practice (aram3.com) in Beverly Hills where she coaches clients to become more mindful communicators/parents/leaders. Mitra has travelled to 60 countries, and lived on 4 continents. She is a former Human Rights Commissioner, adjudicator, free-lance journalist, and senior executive. Mitra is also a pioneer in creating Mindful Art Viewing experiencess. 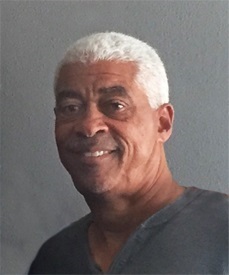 Robert McClure, Licensed Clinical Social Worker, CEAP, is the manager for the Sharp Healthcare Employee Assistance Program, and his expertise includes employee assistance, brief counseling, critical incident management, consultation and training. His experience as a mental health professional has included positions with Scripps Mercy Hospital in San Diego, United Airlines, Pacific Bell (AT&T), United Behavioral Health, and Blue Cross of California/Anthem-WellPoint. 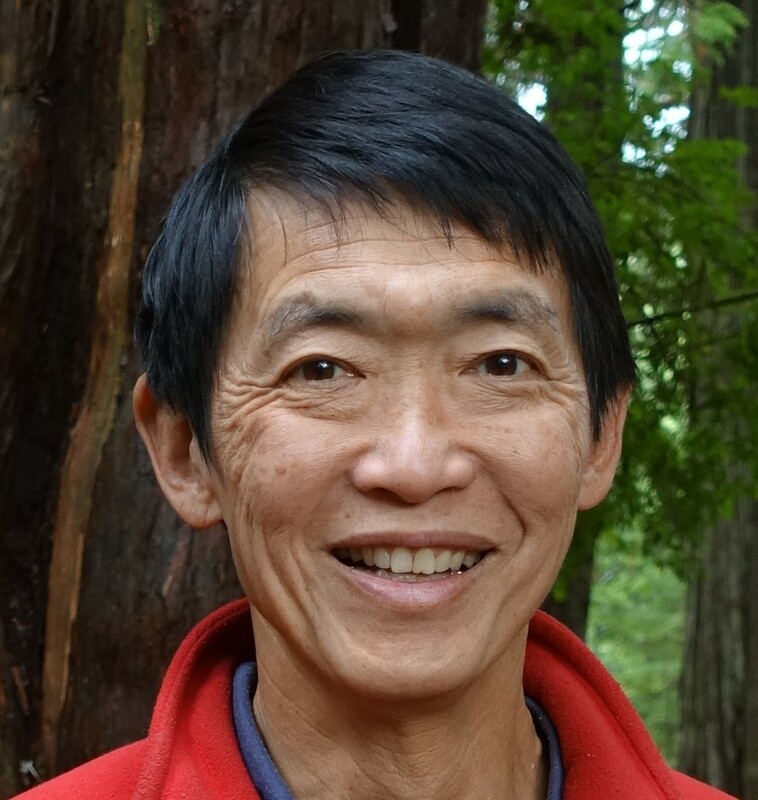 Robert is a Certified Compassion Cultivation Training (CCT) teacher for Stanford University Center for Compassion, Altruism, Research and Education (CCARE), and a Certified Mindfulness Facilitator (2014) for UCLA Mindfulness Awareness Research Center. He teaches compassion training and mindfulness meditation to healthcare professionals. Megan Morbitzer is a Certified Mindfulness Facilitator through UCLA's Mindful Awareness Research Center at the Semel Institute for Neuroscience and Human Behavior. She is co-founder of the NOW House Mindful Awareness Center. Megan has more than 15 years of personal practice and intensive study of meditation and is passionate about helping adults and children live with greater ease, self-awareness, kindness, and joy. Megan has experience in teaching Mindfulness in a variety of areas including the LA prisons and jails, families, and in elementary schools. She has formal training in MBSR and with Mindful Schools. Megan has a BS in Computer Science. As a former Sales Executive and as a mother of two young boys, she loves sharing the practice of mindfulness with others and strongly believes in the power of mindful awareness to heal and re-connect us to our own inherent sense of ease and well-being. Her greatest teachers are her husband and two children. 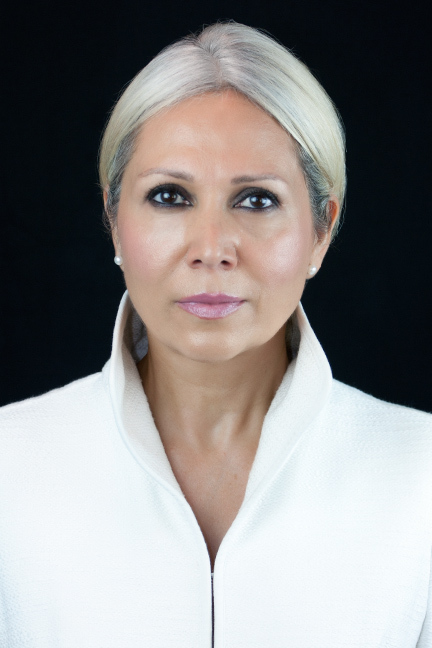 Manijeh holds a Doctorate degree in Psychology of Organizational Management Consulting. She is the Founder of Mindful Business Institute and Co-Founder of Mindful Valley with over 20 years practice in yoga and meditation and over 10 years intensive experience in Mindfulness meditation and related teachings. As the Co-Founder of Mindful Valley, Manijeh has coordinated and lead over 50 day-long retreats including Work-Life Balance and continues to lead weekly Mindfulness study groups in Studio City, Sherman Oaks, Calabasas and West Hills. She has trained and taught Mindfulness to hundreds of individuals, executives and staff at corporations, non-profits, health-care and academic settings. 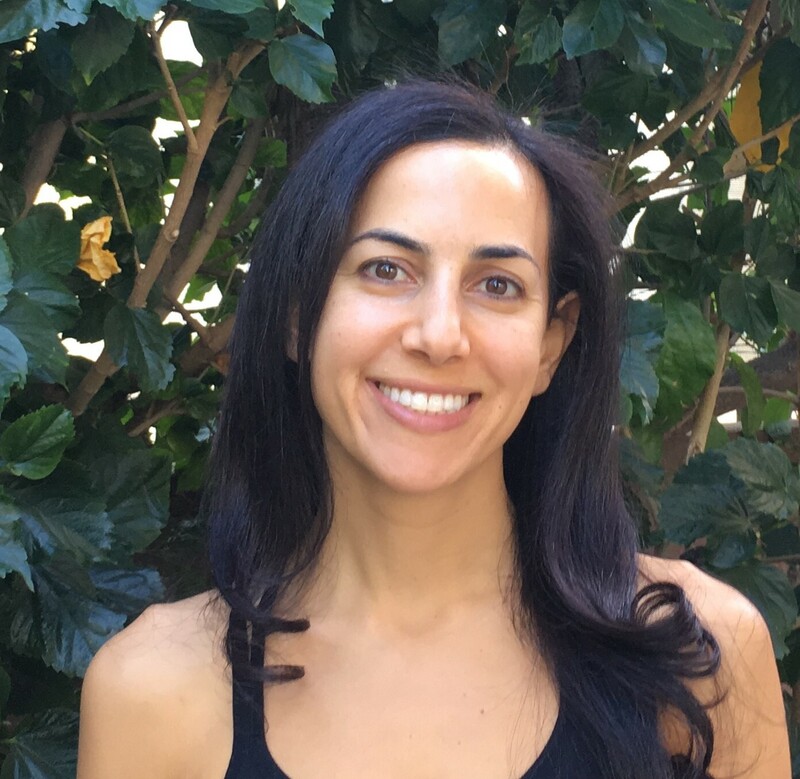 Manijeh is a Certified Mindfulness Facilitator by the UCLA Department of Psychiatry and Board of Behavioral Sciences and an Authorized MAPs Teacher. As a dedicated practitioner, she infuses mindfulness into her life, training, consulting and speaking engagements to optimize success and well-being for all involved. Dr. Pimentel is the Associate Director of UCLA Campus & Student Resilience and the Program Director of Mindful UCLA. She is a psychologist, yoga teacher (RYT-200), and long-term meditation practitioner and instructor who received her bachelor’s degree from Brown University and her doctorate in Human Development and Psychology from Harvard University. 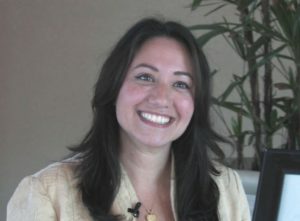 Before coming to UCLA, Dr. Pimentel was a clinical instructor of psychiatry and senior psychologist at NYU-Belleuve Medical Center where she co-founded the Mind-Body Clinic, a service which brought mindfulness-based treatment approaches to people living with psychiatric and medical difficulties. 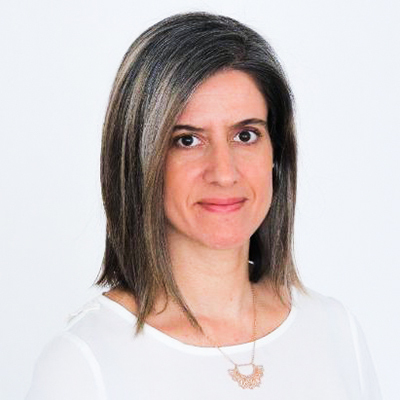 Dr. Pimentel also has taught mind-body approaches to mental health and well-being in a variety of corporate and community settings and in her New York-based private clinical psychotherapy practice. Dr. Pimentel has completed numerous trainings in mindfulness facilitation, including Mindfulness-Based Stress Reduction and facilitator training at UCLA’s Mindful Awareness Research Center (MARC). She has served on the board of such meditation organizations as Insight Meditation Society (IMS) and The Lineage Project. After moving to Los Angeles from New York, Dr. Pimentel began sharing mindfulness with UCLA students, faculty, and staff as a powerful tool for personal and social transformation, resilience, and well-being. 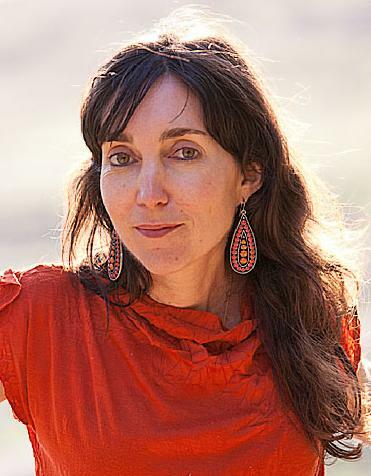 Lucinda Phillips is a Mindfulness Facilitator based in Los Feliz, Los Angeles. She is trained as a Mindfulness Facilitator by UCLA's Mindful Awareness Research Center, part of the Semel Institute of Neuroscience & Human Behavior at the School of Medicine. In 2002 she began studying Tibetan buddhism and practicing mindfulness meditation in both England and the United States. She volunteers as a teacher of Mindfulness and Meditation at the Los Angeles Central Library. She has worked in the film business for 20 years as a Writer, Producer and Director and has incorporated mindfulness and meditation into her daily working life. She is also a founding board member of the non-profit parks advocacy organization "Friends of Griffith Park" which is dedicated to preserving Griffith Park as L.A.'s signature green and open space.As a dedicated practitioner she has found that mindfulness has transformed both her creative process and personal wellbeing. Since 2002 has been attending silent retreats regularly each year. Michael T. Porterfield is a longtime practitioner of mindfulness and meditation. Extensively involved with the UCLA Mindful Awareness Research Center (MARC) in a variety of capacities, from student to facilitator, he has completed both their Intensive Practice Program (IPP) and is a graduate of the Training in Mindfulness Facilitation (TMF) program. He is also a Certified Mindfulness Teacher – Professional through the International Mindfulness Teachers Association. As a teacher, coach, and mentor for over 35 years Michael has worked with people of all ages and from all walks of life… He is committed to the development of the whole person to live in love and peace for and with others. Michael is passionate that the consistent practice of meditation and mindfulness cultivates the ability to live a full and authentic life. Heather Prete is a UCLA Certified Mindfulness Facilitator, self-compassion teacher, and mindfulness in recovery coach. She began her formal training with Tibetan compassion practices in 1998 and has received teachings both in the US and in Asia. 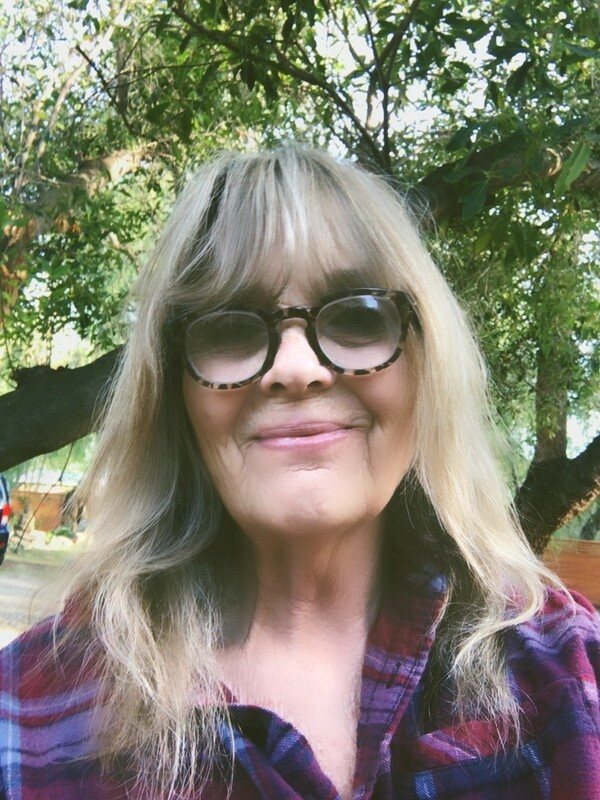 Her work includes training PhDs at Tarzana Treatment Center, as a guiding teacher for Mindful School's online adult courses, and working with those in recovery at Alternatives Treatment Center. She is creator of Alternatives' Mindfulness Workbook for Abstinence and Moderation. Heather also spent 20 years in the theater, is published in the book Remembering Arthur Miller and has appeared in such publications as Time Magazine and The Times of India. She found mindfulness transformative to her own creative process and works with actors through the Khan Institute teaching her program Mindfulness for the Actor. Since 2000 Heather has remained committed to yearly retreats ranging from 7 to 30 days in length and has completed three teacher trainings. 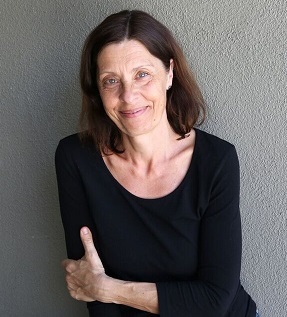 Inguna Reinfelde is a UCLA Certified Mindfulness facilitator and an authorized teacher of MAPs for daily living. 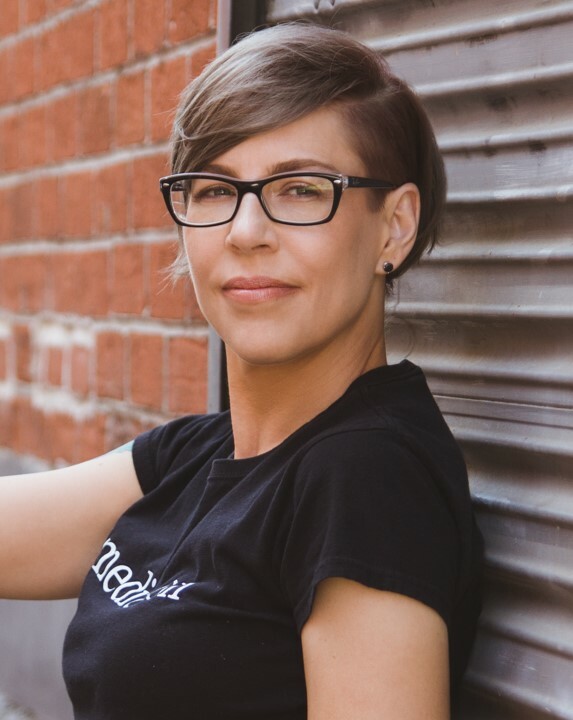 Inguna has studied and teaches Mindful Self-Compassion and facilitates drop-in meditations on the UCLA campus and also at UCLA Medical Center. At present Inguna is facilitating mindfulness for parents of children on the Autism spectrum and is working with seniors facing major life changes. She has also worked with early childhood educators and is currently working one-on-one with individuals with disabilities and people in cancer recovery. Inguna started her meditation practice in the early eighties in Latvia. She has studied Tibetan Buddhism and Qi Gong. Currently teaching in English, she is fluent in Latvian and Russian. 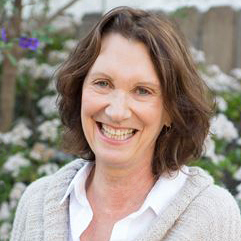 Carol is a Licensed Clinical Psychologist (California License: PSY 23788) and enjoys working with adults in her Los Angeles psychotherapy practice, A Mindful Psychology. She also enjoys facilitating mindfulness with individuals and groups within a wide variety of settings. 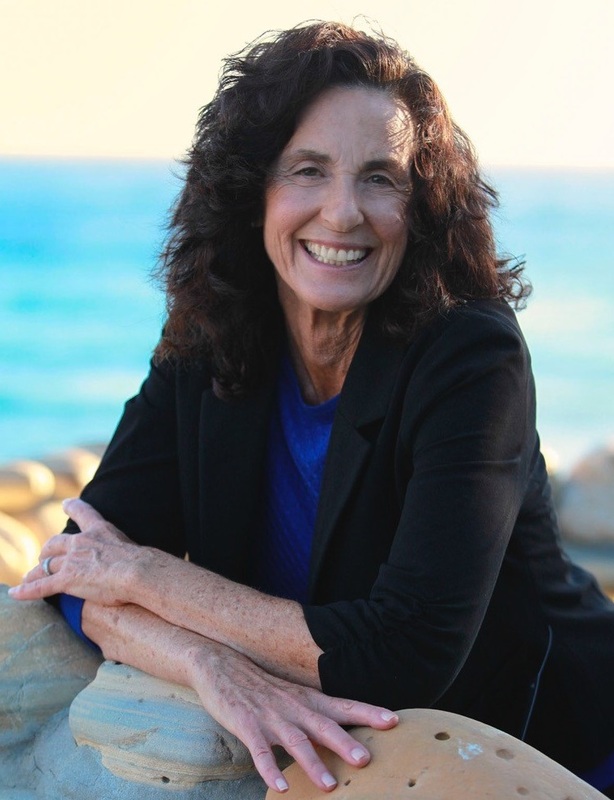 She received her doctorate degree at Pepperdine University and her training as a Certified Mindfulness Facilitator and MAPs instructor through the UCLA Mindful Awareness Research Center. Additionally, she completed mindfulness education training at the University of Pennsylvania’s Program for Mindfulness and through Mindful Schools. She completed her APA accredited doctoral internship at Kaiser Permanente with concentrations in Health Psychology and Neuropsychological Assessment. During her postdoctoral training at Cedars Sinai Medical Center she specialized in Cognitive Behavioral Therapy. For the last several years she has worked as a supervising psychologist and mindfulness facilitator within non-profit organizations. In NYC, she directed the Advanced Doctoral Externship Training Program at The HOPE Program, where she introduced mindfulness practices to hundreds of program participants and staff. As a supervising psychologist at NCJW/LA Community Mental Health and Supportive Services, she facilitated mindfulness training within the organization and community including local elementary and middle schools. She has committed to a personal practice for over 15 years and has been integrating mindfulness into her clinical, consulting, teaching, and supervisory work for over a decade. She is passionate about promoting wellness, resiliency, and fulfillment. Brian Shiers is a Certified Mindfulness Facilitator and Authorized MAPs Teacher for the UCLA Mindful Awareness Research Center and serves as a mentor in the MARC Training in Mindfulness Facilitation (TMF) program. With an undergraduate degree in Kinesiology / Exercise Science and a Master's degree in Psychology with an emphasis on Interpersonal Neurobiology, Brian specializes in the body’s role in developing a flexible mind and emotional intelligence. Working with the general public as well as in organizations, Brian served for three seasons as the Mindfulness Coach for the UCLA Women's Varsity Indoor and Beach Volleyball Teams and has provided mindfulness programs for corporations such as NASA, Nestle’, Disney Animation Studios, Mattel, Inc., and salesforce.com. He is currently a Mindfulness Skills Specialist and Associate Marriage & Family Therapist at Westside DBT specializing in anxiety disorders, and leads 3-day silent retreats for law enforcement and first responders in the Pacific Northwest. Barbara Rose Sherman earned a B.S. degree from the University of Southern California. She is a Trained Mindfulness Facilitator from the UCLA Semel Institute for Neuroscience and Human Behavior and a UCLA Mindful Awareness Practices Affiliated Teacher. Barbara is a Yoga Alliance Experienced Registered Yoga Teacher 500, and is co-author of the college textbook, Yoga for the Joy of It!. She has been teaching yoga, restorative yoga, stress reduction and wellness programs for more than 20 years. She developed and leads corporate wellness programs, Women’s Health and Healing workshops, and yoga and meditation retreats. She created mindfulness workshops for the Santa Barbara Braille Institute and the City of Santa Barbara Department of Public Works. Testimonials from participants praise these programs as “life-changing." Barbara believes that mindfulness, the conscious direction of awareness to the present, creates a foundation for wisdom and well-being. Daisy Swan, is a UCLA Certified Mindfulness Facilitator who teaches MAPS I and II Classes. She began studying Tibetan buddhism and practicing mindfulness meditation about 30 years ago. Incorporating mindfulness into programs she offers through her business as a career coach and strategist, Daisy helps stressed out clients from corporate, legal, entertainment, tech and other career paths, and workshop participants, find their way to more clarity and satisfaction as they make life, work and organizational transitions. Daisy has also earned her Certification as a Professional Co-Active Coach from the Coaches Training Institute, and her Certification as a Somatic Coach from the Strozzi Institute in Petaluma, CA. She regularly attends silent retreats at Spirit Rock Meditation Center in Woodacre, CA. Eden, founder of Mindful Living Revolution, is a meditation and mindfulness teacher, author, and sustainability consultant who teaches the integration of compassionate awareness into every aspect of our lives. She spent 7 years as a monastic at a silent Zen Monastery and she has been traveling to, living in, or teaching about sustainable communities for the last 23 years. 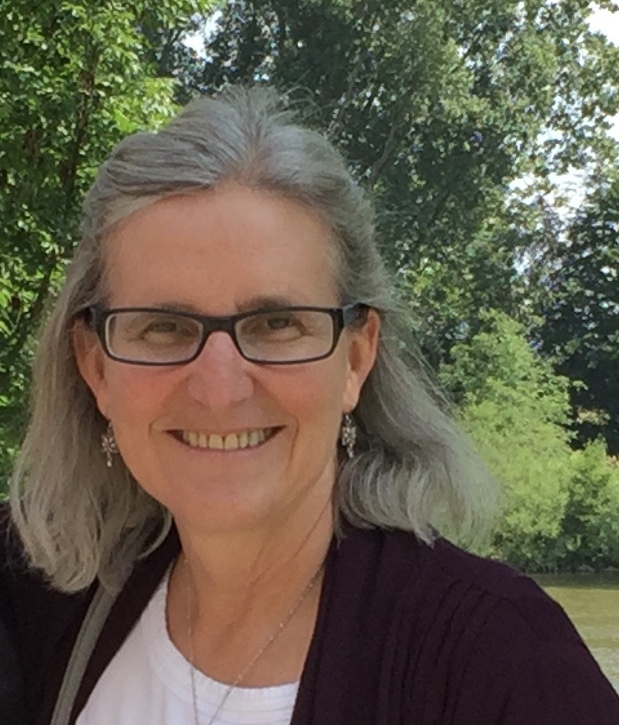 She teaches engaged awareness practice which emphasizes the interconnection between mindfulness practice and global sustainability. Eden is a UCLA-Certified Mindfulness Facilitator. She also facilitates The Work That Reconnects, which was created by Buddhist scholar and eco-philosopher Joanna Macy, helping people to bring mindfulness to healing our relationship with the state of the world. Eden currently resides in Ojai, California and offers retreats, workshops, and consultations nationally. Linda Yaron is a National Board Certified Teacher with over 15 years of experience in yoga and meditation. She is a faculty member at the University of Southern California, where she teaches Stress Management for Health Living, Yoga, and Introduction to Mindfulness. Her integrative approach blends theory, research, and practice in mind-body awareness to build resilience, joy, clarity, and compassion. She holds dual Master’s in Education degrees from UCLA and is credentialed to teach English, Physical Education, and Health. She is a certified yoga teacher (E-RYT 500) and certified Mindfulness Teacher (CMT) trained through UCLA’s Mindful Awareness Research Center. I began my meditation and mindfulness studies in Mysore, India and continued my training in Zen practice, Buddhist Psychology, and clergy studies with Five Mountain Zen Order where I was ordained as a Zen Buddhist Monk. 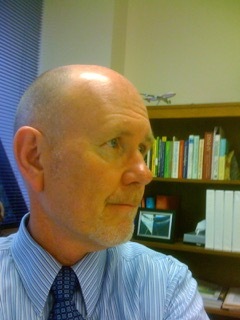 Currently teaching as an accredited IMT (International Mindfulness Teacher) and Affiliated Mindful Awareness Practices (MAPs) Teacher, I take a secular approach to sharing the Mindfulness-Based practices both within the public health intervention communities, individual coaching, university lectures, meditation teacher training and corporate training programs to help clients solve their most difficult problems. I offer encouragement through structured and skillful dialogues, meditation, mindfulness and breathing techniques to help empower clients to better understand their challenges and implement pragmatic plans to address them. Jill Satterfield is the founder of Vajra Yoga + Meditation, a synthesis of meditation and yoga, contemplative and compassion in action practices. She was named "one of the 4 leading yoga and Buddhist teachers in the country" by the Shambhala Sun Magazine, and is also the founder and Director of the School for Compassionate Action: Meditation, Yoga and Educational Support for Communities in Need. 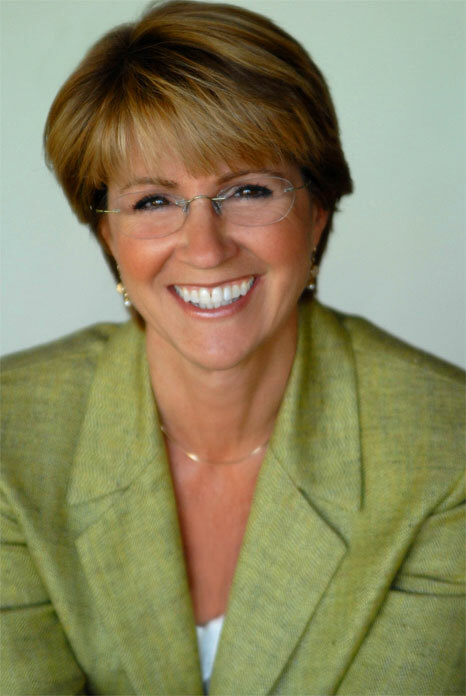 As a pioneer in the field of mind body awareness, Jill has been teaching internationally, consulting and instigating mindful and creative educational programs for over 29 years. Jill is part of the founding faculty of Spirit Rock Meditation Center's Mindfulness Meditation for Yoga Training and leads professional teacher trainings internationally. She was the scholar and teacher in residence at the Kripalu Center consulted with many leading mindfulness organizations and has been featured in the New York Times, More, Crains, Yoga Journal, Tricycle, Yoga Magazine UK and NL and Happinez Magazine NL amongst others. She teaches and has created Integrative Mind Body programs in hospitals, addiction centers, alternative to incarceration facilities, on silent meditation retreats and in many yoga centers world - wide.